I have been very blessed to have been raised by Godly parents who encouraged me to dream big and experience life to the fullest. I have a degree in Business Administration and have been able to travel the world. I have worked for several wonderful companies including LaFarge and Cessna. I have served with Mercy Ships, which has given me much insight into our world. I would encourage everyone, no matter what age you are, to donate your time and resources to this phenomenal ministry. I was able to visit many ports in Europe and Africa, while living with people from all over the world. I’ve had the thrill of getting my private pilot’s license, and the satisfaction of using a jackhammer. I’ve also found myself running with the bulls in Spain, and checking the shark nets in South Africa. My latest adventures are raising 6 kids and homeschooling them along with my amazing husband, Jim. This is not for the faint of heart! I am so grateful for the privilege and opportunity to do this. It has been my greatest blessing. I have also been extremely grateful to have been providing Cross Seven as a resource for families. It has been a blessing to know that this website is providing many homeschoolers with an excellent resource at a reasonable price. I am extremely grateful for Claritas Publishing and their incredible diligence to create this musical memory work. I spend a lot of time volunteering with Teaching Parents Association. They provide so many incredible resources for homeschoolers. I have loved getting to know and working with true homeschool heroes. 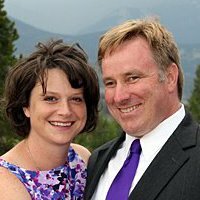 Today, I read a blog post from Melissa Corkum, A Tale of 3 Learners, about how classical education has been a blessing for her family. She zeroed in on the first phase, which is the grammar phase. 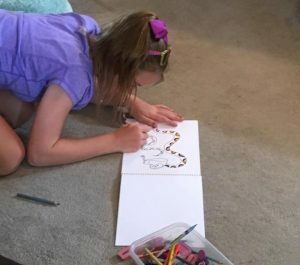 She explains how the memory work can be challenging and many other families have told her that their kids would never be able to memorize very well. I have found this to be true for my kids too. I had one that memorized [Read more…] about Memory Works! If you would have told me 10 years ago that I would have 6 children AND I would homeschool them, I would have laughed in complete disbelief (or terror). To me, homeschooling was the “H-word”, and I had no confidence to even know where or how to start. Now, I have a wonderful husband, and a supportive family. We did experience some hardships, and those hardships facilitated the need to explore all educational options. My husband had been listening to all of my concerns for my children’s educational development and he said to my utter astonishment, “Don’t rule out homeschooling”. “What?!? Did he really just say the H-word?” I felt a sigh of relief at exactly the same time that I felt angry at him for suggesting such a ridiculous idea. 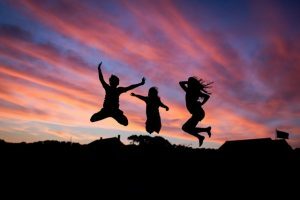 I can relate to feeling like a captive as I was led to investigate the unknown world of homeschooling, but I wasn’t too sure about how this pathway would lead to a sweet perfume. I like how this website says, “all you need is some time and some common supplies”. Now I believe my children are exceptional, but for this analogy, they are a common entity in our house and we have plenty of time together. Analogy: A biblical worldview to represent odorless oil. Analogy: Cutting the bad part off is painful. It’s also hard to keep lighthearted when folks get upset about their MATH, but you gotta do it anyway. Analogy: Well, when you have babies, young kids and elementary students, sometimes it seems like you never open the door to leave the house. Analogy: The fruit of our labors definitely has splashes of joy and beauty. We are still in the process of refining, and we always will be. Following God is a wonderful adventure. Just keep your eyes fixed on Him! Welcome to Cycle 1 memory work, which is the first of four Cycles created by Claritas Classical Academy. Cycle 1 has been carefully written by a group of homeschool moms who met together through numerous “curriculum retreats”. They waded through stacks of books and information to compile a rich and complete memory work syllabus. Experts and proofreaders analyzed every word to ensure accuracy and excellence. After the written work was completed, Claritas paired their product with a talented vocal and musical artist who brought this memory work to life. The tunes are delightful and catchy. Included in Cycle 1 are several lengthy Scripture passages and Hymns. A history Timeline is introduced over the course of the year and is repeated with each cycle. The History sentences follow, “The Story of the World, Volume 1” which covers Ancient Times. Science focuses on Biology. For Math and English, the first part of each cycle will introduce memory work which will be repeated each year, and Cycles 1 & 3 are the same and Cycles 2 & 4 are the same. The Latin subject material covers verbs and nouns declensions, as well as Psalm 23, and a few other short passages. Finally, Geography covers many of the locations that have been learned through the history sentences. 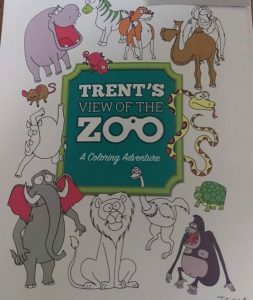 We have enjoyed Facebook posts about Trent and his amazing God-given gift of drawing adorable zoo animals. In one of the posts, I saw a video of him drawing the animals upside down on his trampoline using chalk. He drew them quickly and they were perfect. If he started running out of room on his “canvas” he could still find a way to fit his unique animals into the picture. 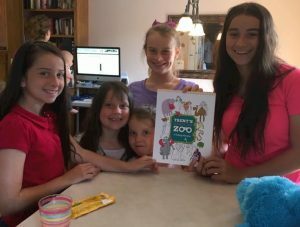 Yesterday we received our first coloring book from Aunt Marci, who has been friends with Trent’s mom since high school. We love this coloring book. It begs to be colored. It is so special because even though Trent is impacted with Autism and is limited in his communication skills, he can wondrously express himself through his artistic abilities. Trent’s artwork brings joy to me and I marvel at his God-given talent. I had the privilege of reading this book by Durenda Wilson. 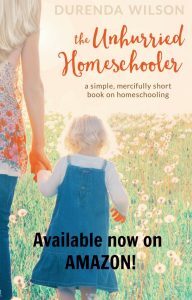 It is short and sweet and filled with practical tips for homeschoolers. When reading this book, I could see how we have incorporated many of her ideas and it helped me in my confidence in the power of homeschooling. I think Durenda has an important thing to say in our day because she is a woman of excellence, and she is also a mom who isn’t only interested in pushing academics but rather raising her children using a holistic approach. I love how she combines personal responsibility and freedom together and she helps the unschooler as well as the structured homeschooler. I really think the Claritas memory work is a great way to live this unhurried lifestyle when the kids are younger. My kids seem to enjoy the music and they learn so much in a short period of time. They have time to do the things they enjoy.